The NE Campus theater program will present Samuel Beckett’s play Endgame Sept. 26-29. 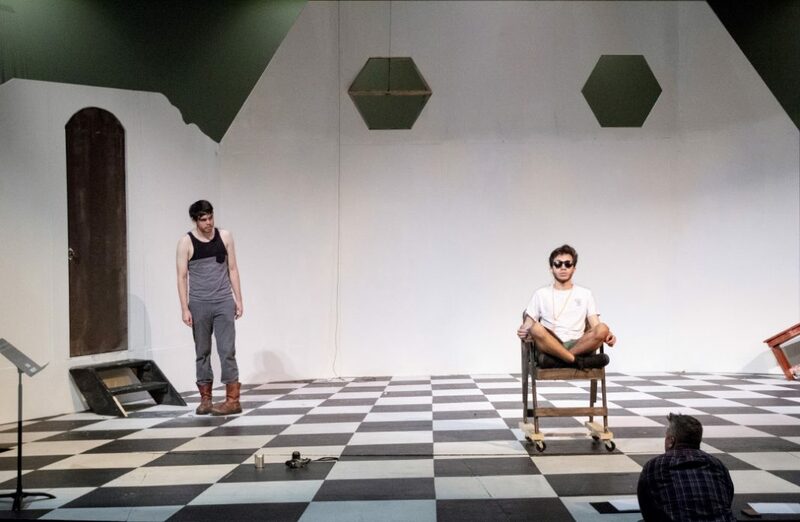 The play introduces four characters in a post-apocalyptic world trapped in the character Hamm’s home. Emotions are high knowing that death is almost certain. Director Stephen Thomas chose the play to display the futility of human existence. “It falls under the genre of theater for the absurd, and it examines the absurdity of human existence in a bizarre manner,” he said. Thomas also believes the play is Beckett’s most important and will challenge the actors to go outside their comfort zone because it is a difficult form of theater to pull off as well as the acting style. NE student Danny Rengifo plays Hamm, who is blind and immobilized due to age. He has an unlikable demeanor. NE student Austin Peak plays Clov, Hamm’s servant. Peak originally auditioned for Hamm’s role, but since he worked with Rengifo before he decided on a vaudeville-style audition as Clov would be funny. Peak said he wants the audience to have fun with the play. The play starts at 7 p.m. Sept. 26-29 with an additional matinee showing at 2 p.m. Sept. 29 in the NFAB theater. Admission is free for TCC students, faculty and staff, $3 for non-TCC students and senior citizens, and $6 for the general public.